C&O Sportswear is a family-owned sportswear and specialty printing shop located in Mt. Pleasant, Michigan. 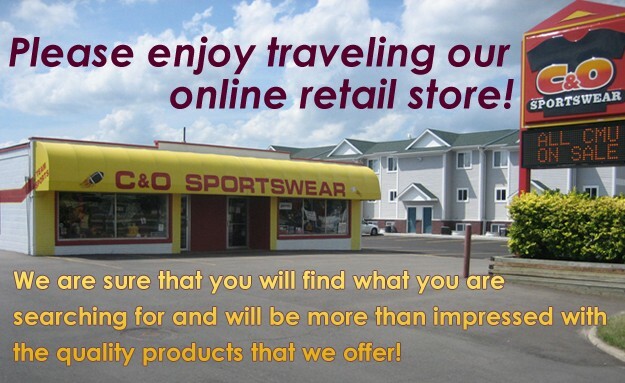 We are true Central Michigan University supporters, and we have a passion for delivering high-quality, officially licensed sportswear for CMU fans. We provide our customers with specialty printing and custom designs, and we accommodate both large custom orders and individual orders for sportswear apparel. No matter the size of your order, we always deliver the best results. Our shop was established back in 1976, and our customers range from our neighbors and community members in Mt. Pleasant all the way to the federal government and the auto industry. We are excited to process orders of any size, as we have the ability to print thousands of items at a time for various accounts. Whether you order CMU t-shirts, sweatshirts, hats, or other giftware, know that we are committed to quality, and we demonstrate that commitment through our work. Show your school spirit with CMU Alumni clothing from Mt. Pleasant's trusted printer. Outfit your team or staff in custom clothing made to last. Count on Mt. Pleasant's longstanding print shop for custom apparel for teams and businesses.